Ben Miller explains how soccer star Juan Mata got the ball rolling on Common Goal, and much more. Manchester United's Juan Mata. (Image via Mata's Facebook page). "Don't expect Common Goal to become an instant success or a trending topic," I explained to the World Cup winning, multimillionaire soccer star. In this business, it’s wise to manage expectations. Within four hours of announcing the initiative, it had became a top 10 trending topic globally. Inside 24 hours, it had been featured on more than 200 media platforms including The Times, The Guardian, BBC, Süddeutsche Zeitung, Sports Illustrated, ESPN, El País, L’Equipe, Fast Company, Huffington Post, Globo, Sky, and La Gazzetta dello Sport. It made headlines all over the world, from Nigeria Today to the Saudi Gazette. On Friday, August 4, Manchester United and Spain midfielder Juan Mata said that he would pledge 1% of his salary to the collective fund known as Common Goal. 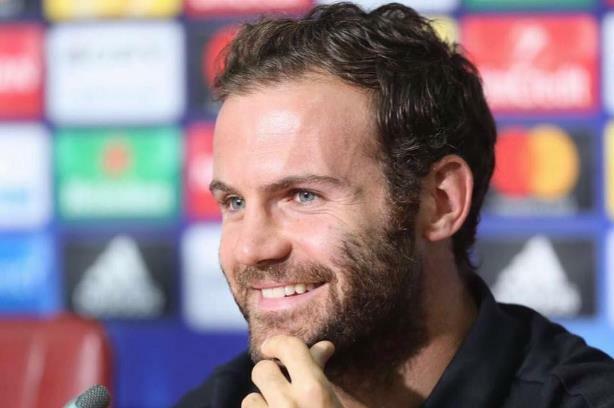 A couple of days later, rather than discuss rivals Real Madrid, the media asked Mata about Common Goal in Manchester United’s press conference before the UEFA Super Cup final. Having directed the media and influencer outreach of Common Goal on behalf of streetfootballworld, the NGO behind the initiative, we were all delighted, if somewhat overwhelmed, by the results. Creating something new is never easy, and we didn't have the budgetary resources more readily available outside the charity sector. There were several reasons behind this successful start that created instant notoriety for the initiative and, more tangibly, led to three more players coming forward to join Mata in the Common Goal Starting XI, the next of which will be announced on August 17. Two major contributors to this early success are also found in winning soccer teams: teamwork and timing. The level of commitment among the streetfootballworld team is second to none. The genuine belief that football can change the world, which is held by the organization’s founder and CEO, Jürgen Griesbeck, is shared by everyone. This collective faith and ambition creates a value far outweighing many more lavishly funded agencies. Also, Juan Mata is a tireless, ego-free, and credible spokesman, well supported by his helpful and friendly communications adviser, Nacho Silván. The timing has never been better. Soccer’s administration is seen as a disgrace, players perceived as greedy and uneducated, agents as dodgy, and the media as unscrupulous click-bait merchants. Once we decided on a principal platform to launch the message, The Players’ Tribune, it was important that Juan shared his motivations behind this in the first person. I explained the project to several journalists. The reaction was incredibly positive. In the midst of a summer transfer window - a limited period of time when soccer players in Europe are bought and sold - that had already seen a billion pounds spent in England alone, everyone was reeling at the amount of money sloshing about. Common goal was a healthy antidote to this greedy environment. When it looked like the Common Goal announcement would clash with the most expensive transfer in the history of football being unveiled, there was talk of delaying the launch. My belief, backed by the counsel of a seasoned and successful soccer journalist friend, was that it was the perfect time to launch a counter narrative to a Qatari-owned club spending $400 million on a single player, Neymar, who was half-heartedly insisting, "It isn’t about the money." When we first started talking to players and agents about the football industry defining some shared values and working collectively to help society, we were met with a mixture of disinterest and cynicism. Six months later and it seems that the timing is spot on. The media and social media influencers we spoke to ran with the story, and the initiative got off to a solid start. Then the timing, context, and public mood took over, and a viral effect occurred that we all hope for, but can never predict. Juan said to me on a recent morning, "It was so successful because football triggers a lot of emotions around the world, and people are conscious that an initiative like Common Goal could be a game changer. Fans want this to become a reality." Henry Winter from The Times, the best-paid soccer journalist in the world, explains, "It’s a great idea, long overdue. It will help the image of elite football, long associated with greed, and it’s a very good story, too. There is immediate fascination on which players will respond. Columnists will keep returning to the story, demanding to know how many players have made the pledge, so this a story with "legs." The great news is that we have another top player to announce shortly: another World Cup winner from a different club, league, and country than Juan Mata. Then there’ll be a third player to reveal, again a World Cup winner, yet equally as diverse. Though still distant, the objective that Common Goal becomes a systemic part of the $30 billion-a-year soccer industry is coming into focus. Once the Starting XI is formed, the business of soccer will have no choice but to take notice. It’s an effective and long-term way for the sport to collectively create social impact on a global scale. We all agree that it’s high time for soccer to live up to its potential and make the world a better place. Success has many parents, and having spent frustrating months speaking to disinterested players’ representatives, it has been so satisfying to see this first step succeed and to receive so many messages of support and thanks, including from Juan himself. Yet the most gratifying moment of all was when I received a message from a middle-aged lady I hardly know from the U.K.: "Today Mata made me feel proud to be a football fan again." Ben W.S. Miller is director of global communications at Actyvos Group and a communications expert on the global sports industry.